And I want to get back into the habit of it. 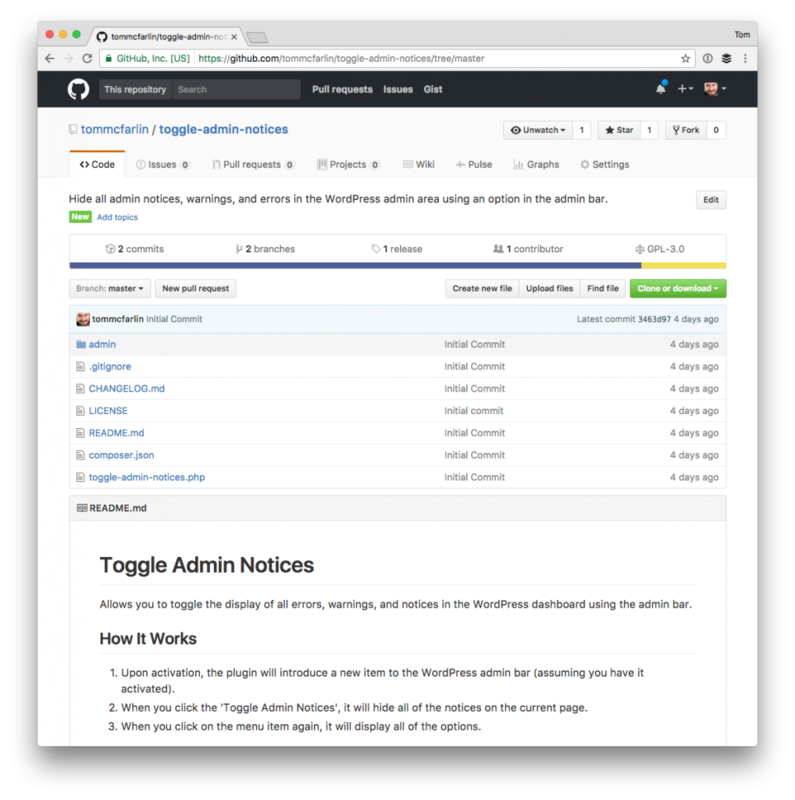 But in following up with what I said I’d do, I pushed up 0.1.0 of the first project in an attempt to follow-through on what I said I’d do starting with a small project that allows us to toggle WordPress admin notices. So here’s Toggle Admin Notices. You’re working on a project that has a number of different dependencies on plugins. Some these plugins all offer their set of messages on what they display at the top of any and every admin screen. Some are notices, some are warnings, and some are success messages. Regardless, they’re annoying, and they distract from us simply getting to work. Toggle Admin Notices provides an easy way to hide (or show) them. Allows you to toggle the display of all errors, warnings, and notices in the WordPress dashboard using the admin bar. You install it and activate it. A new item that reads “Toggle Admin Notices” appears in the admin bar. Whenever you’re on a page with too many notices, click on the menu item to change what you see. There’s no major “plan” for this plugin other than adding things that I want to add on an on-needed basis. So it’s available on GitHub for download, for issues, and for pull requests all of which I’ll review, but all of which I may ignore, too. It’s not because I don’t appreciate them, but it’s because I also have to prioritize works and what not. tags will also include the latest release (which the highest tag being the most recent). right now, I just have 0.1.0. 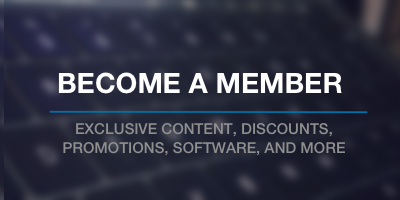 So feel free to check it out and offer any feedback you have either via issues, pull requests, or even tweets. I’m all for it. And hopefully here will be more to come soon. Next PostNext Time to Commit Code: It’s Best to Do It At…?